Winter is the perfect time to start planning your garden and if you’re a seasoned gardener you’re probably thinking about your favorites like the flavorful heirloom tomato, spicy pepper, veritable squash, crispy lettuce, aromatic herbs and super-foods like kale and spinach. So this year why not add parsnips to your garden. Beyond their sweetness and relation to that other root vegetable, the carrot, it’s worth mentioning how long you can safely extend the parsnips’ harvesting season. 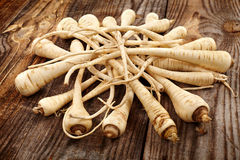 At a time when most of the garden has gone quiet you can dig your parsnips from unfrozen ground long into the winter months and even into early spring. As you go from garden to table imagine how warm and tasty a side dish of roasted or fried parsnips would be on a cold winter’s day.